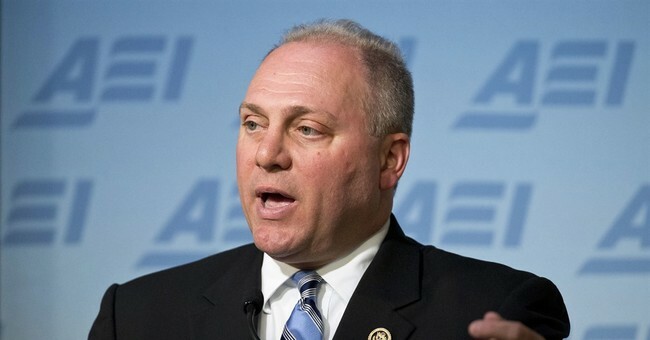 It would have been easy for Scalise to take a back seat on Second Amendment-related issues, especially considering his personal experience during the Congressional Baseball shooting. He could have decided not to comment on gun control measures being pushed. He could have taken a passive stance. Instead, Scalise is continuing to support the Second Amendment and Americans' right to keep and bear arms. That is a noble cause in itself and deserves to be applauded. Democrats want to silence Scalise because he goes against their typical liberal, anti-2A talking points. They want survivors, like Gabby Giffords, to be at the forefront of their argument. You know why? Because Giffords can say "I survived a shooting" or "You don't know what it's like." Because, honestly, how many of us have been the victims of a shooting? Very few. When someone who has also survived a shooting, like Scalise, enters the ring and continues to fight for the average Americans to protect themselves, that "You haven't been there" argument goes out the window. The playing field is level. And the discussion has to focus on logic, not emotional appeal.